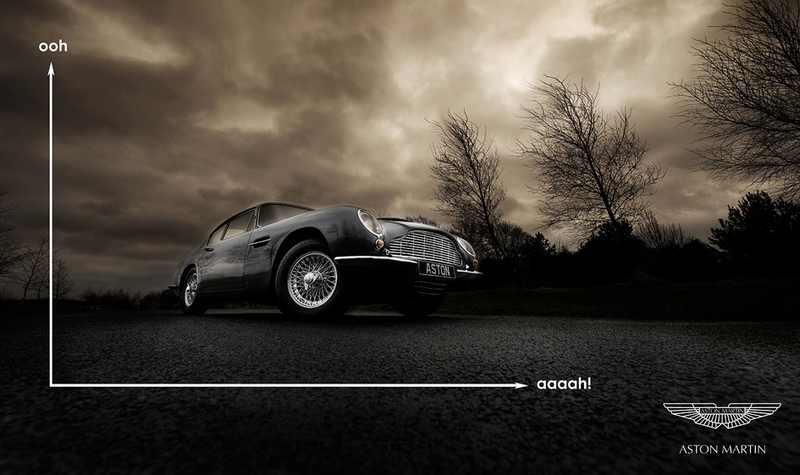 The Aston Workshop this week launched their new 2010 Enhancements Brochure Online this week that was exclusively shot by photographer Tim Wallace. The brochure is very comprehensive and covers a large number of modifications and upgrades that clients can make to their classic Aston Martin through the workshop that are the approved restoration facility for Aston Martin UK. Tim - "The enhancements brochure has been quite a major project over the last few months but has been fantastically enjoyable to shoot. Our main area of planning has been quite literally the availability of certain classic Aston models with the correct enhancement in place to allow us to shoot the required photography for the brochure. When you think of the sheer low number of classic DB5's left in the world and then consider that we need an example that is not only fully restored and appealing but also that has the correct enhancement you start to get an idea of the magnitude of the panning that has gone into this project. We are of course very fortunate that The Aston Workshop is the largest classic Aston restoration centre in Europe as it has a large number of models in restoration progress at any one time and being a long standing client of Ambient Life we have a wonderful working relationship and understanding of whats required."